To farm the best, salty, local oysters you've got to learn how to grow with the flow as we say! There are several key ingredients to ensure you are farming the best oyster, and one of the most important ones...is using LOCAL SEED (yup, oyster seed! Basically really really tiny oysters). 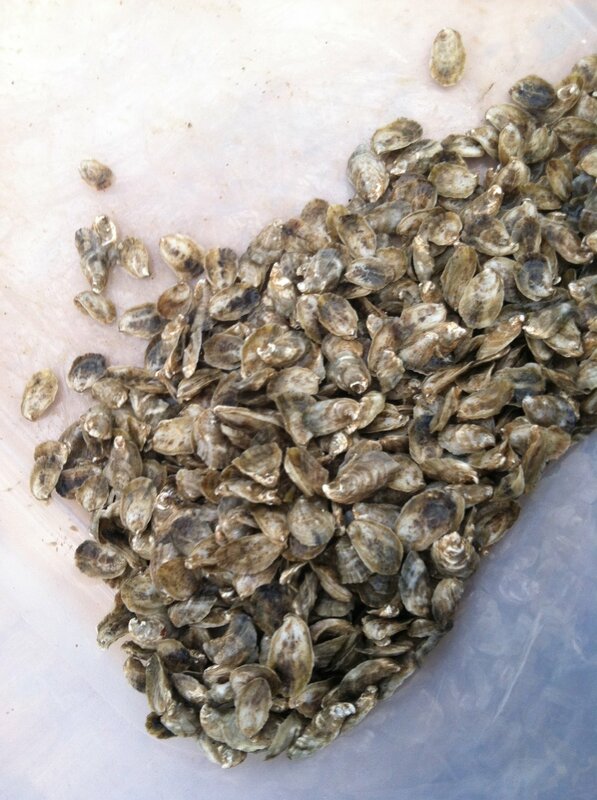 We use diploid and triploid seed from Lady's Island Oysters in Beaufort, SC. Using triploid seeds (which don't reproduce) allows our oysters to spend all their energy filtering, feeding and growing and they can be harvested year round to provide some of the best seafood in Charleston. 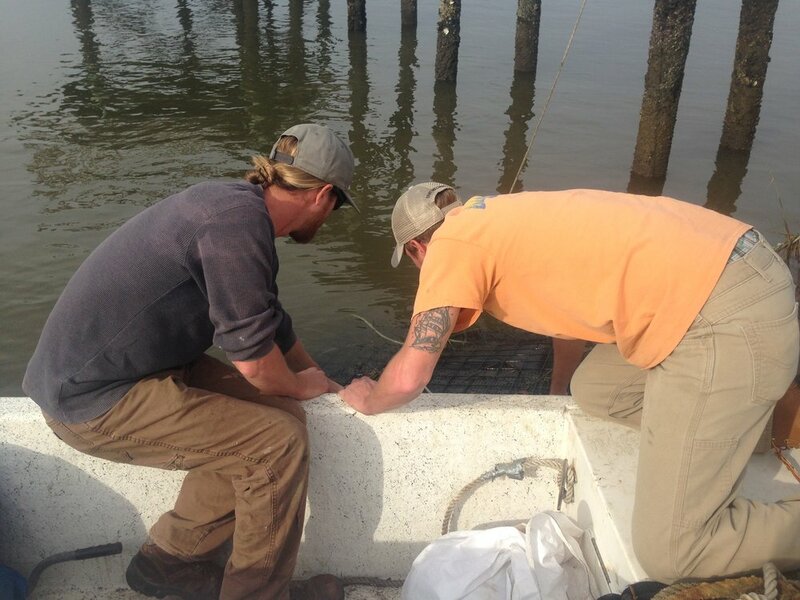 Oysters are filter feeders, which means as they filter and purify our waterways, they are also feeding and growing! What is oyster food you ask? Oyster food is essentially everything in the water. One oyster can filter up to 40 gallons/day! As they filter food from the water and consume algae we want to ensure they have lots of flow so they can grow. So we keep our oysters in mesh bags, inside wire bottom cages. Open cage systems mean open flow systems. Our oyster farm also keeps our seeds in bags, and we keep our bags in bottom cages. Bottom cages are exactly how they sound, they are underwater on the bottom of the river. In the summer months, cages stay completely submerged, and in the winter months cages are moved to shallower depths to allow slight exposure at low tide. 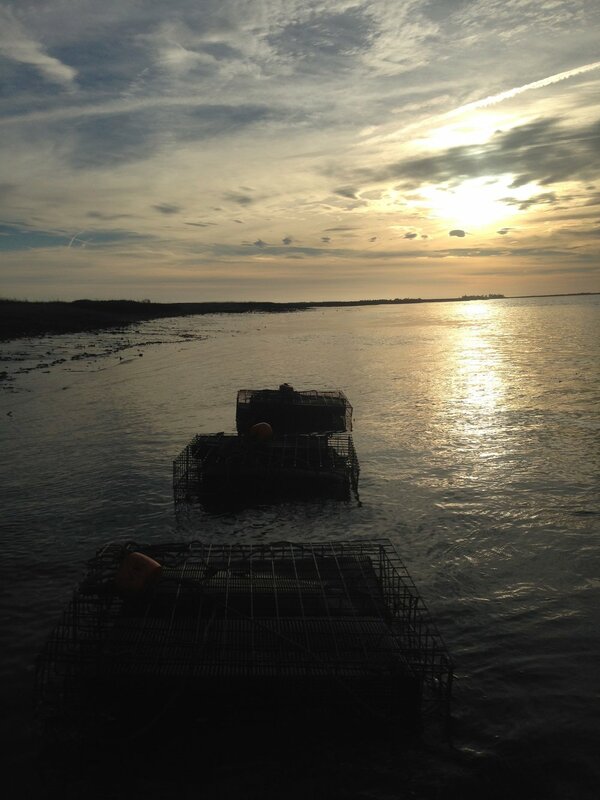 During low tide, the cage exposure allows the oysters to brine for maximum flavor, and prevents other critters from growing on the oysters and harming them (barnacles, sea squirts, certain large algae etc). Bottom cages also encourage and build up healthy ecosystems and provide protection for small aquatic species. Because of this, bigger aquatic animals are attracted to the area and before you know it, oysters have created one of the cleanest and most productive ecosystems on the planet! 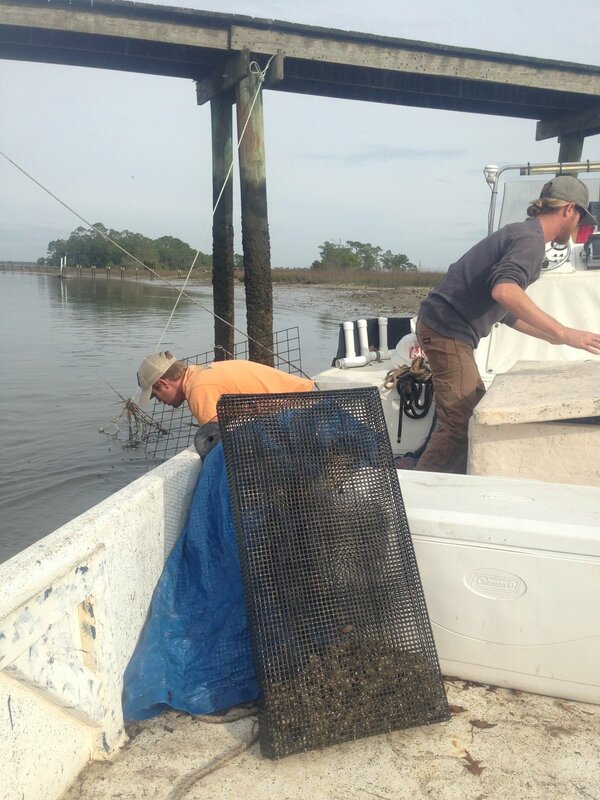 As the oysters grow, we separate them by size using a "grader/sorter/tumbler" and move them into larger mesh size bags so as they grow they have more flow. Along with growing oysters in cages, grading the oysters allows us to keep them from growing on one another, or any other critters for that matter (We call this bio-foul in the industry). As the oysters are sent through the grader, their shells are separated from one another, chipped and shaped, which encourages the oyster to strengthen their shell, while giving them a rounded appearance. It also means our fresh oysters will be easier for oysters shuckers to shuck, while looking absolutely exquisite on a platter!